I am honored to lead the Resources Division at LifeWay and serve with a team of leaders who are passionate to serve the Church in Her mission of making disciples. 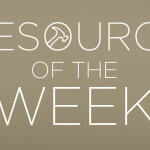 Each Wednesday I share the heart behind one of the resources our team has developed and give an opportunity for you to register to win a free copy of the resource. 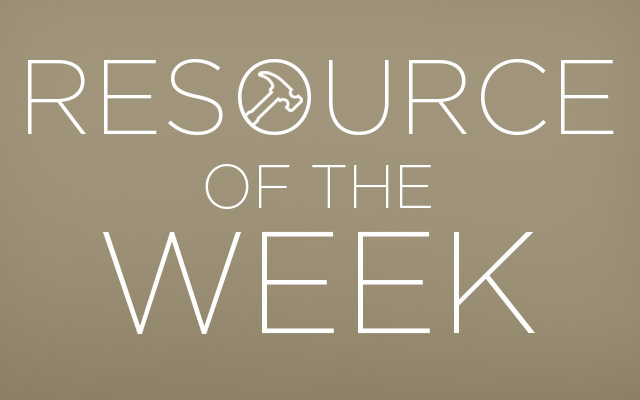 This week’s resource is The Gospel Project for Students, and I want you to hear our student team’s heart for this incredible resource. A common story we hear about Christian students is the challenge of a college professor asking them to defend their faith. Or another student calling them out on their beliefs. Too many times the Christian doesn’t know how to respond, or realizes that the depth of his or her theological understanding doesn’t stand up to the challenge. This is a real problem, not just for those who are marginal followers of Christ, but for those who have attended churches and Bible studies their whole lives. These challenges are real and grow more and more common in our current cultural climate. Students all over the world are growing up without a foundational understanding of what the Bible says. Despite the great efforts of student pastors and volunteer leaders, helping students understand God’s word is no easy task. Too often they would rather be told what to believe rather than discover it for themselves. Additionally, instant access to information can dilute the learning process, resulting in a shallow understanding of essential doctrines. Sadly, one thing students can miss in the busyness of school, family, extracurricular activities and, yes, even church events, is the story of the Bible – the story of Jesus. While individual Bible stories teach great lessons and shed light on God’s character, they also play a part in a bigger picture that reveals the grand narrative of the Bible. Seeing this full story is critical for students as they develop their worldview and grow to understand their identity in Christ. Imagine someone claiming their favorite movie is, for example, The Avengers. But in a discussion with them you find out they have only seen bits and pieces of the movie. They may understand the basic plot, but they cannot truly grasp the full meaning and context of the story. The same thing can happen when students only know parts of the Bible. Students are able to defend their faith and shape their culture as they gain an understanding of essential doctrines. When students encounter the full story of God’s mission to redeem His people it encourages and empowers them to join His mission. As a student’s view of God expands so does his or her love and obedience towards Him. The Gospel Project Chronological for Students is a three-year Bible study curriculum developed alongside student pastors and other church leaders to help you accomplish these very things. This Christ-centered study presents 99 essential doctrines over the course of three years, and each session of The Gospel Project clarifies how students can join God on mission as a result of Christ’s finished work. Additionally, each session explains God’s story and how it connects to our story, resulting in a growing love and obedience to Jesus and His Word. We must help students see the full story of the Bible during these critical, developmental years. And it’s not just about preparing them for a debate with a college professor someday. It’s about helping them embrace Jesus and the life He calls and empowers them to live. Register to win a quarter of The Gospel Project Chronological for Students Digital Bundle (Personal Study Guide and Leader Guide) for your entire Student Ministry. BEFORE 12:01AM CT, Thursday, July 30th. 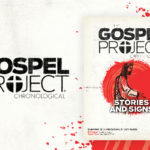 You can also purchase The Gospel Project Chronological for Students at gospelproject.com/students.